Esther and I are here on vacation in Scotts Valley, California, near Santa Cruz. We’re staying at the same Conference Center that we met at, almost exactly 7 years ago. Its been fun to explore — I really like this part of Northern California. We’re surrounded by beautiful, soaring redwood trees, but only 10 minutes from the beach. What a deal! Its been fun to re-connect with old friends, explore with Esther and Isaiah, and work on some scholarly projects. I love living in California. I know we have a lot of economic problems, and there is a lot of cooky stuff out here. But the natural beauty of it has won me over, and I’m fascinated by the people, the gospel need, and the ever evolving culture. California feels like home, and I hope Esther and I can stay here for a long time, if not for the rest of our lives. One my favorite things to do lately is take a day off to travel somewhere else in the Greater Los Angelos area. I’ve been to Simi Valley, Santa Clarita, and Rancho Santa Margarita. I like driving around and seeing the homes, the lay out of the town, the coffee shops. 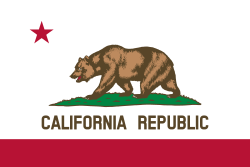 California is such an interesting place because it has relatively little history (excluding native American history) and yet has grown so rapidly, and because of the huge waves of immigration and the resultant diversity, and because its a melting pot for so much innovation, so much new culture, so many unique people. Its an interesting experiment of diversity and innovation. Its unlike any other place I know. The best way I can describe the beauty of the mountains is to call it a desert version of Scotland — but the orange and brown instead of green don’t feel lifeless to me, they just have their own kind of beauty. At sunset, when I’m coming back from a hike on one of the trails near my house, the sky turns a kind of purple, and the temperature falls rapidly. That’s my favorite time of day. Above all, California strikes me as a place where many misfits go. People who don’t find a place anywhere else often seem to find there way here. Its a place for quirks, oddballs, and people who don’t have the family or personal trajectory to keep them wherever they moved from. Especially Santa Cruz – there lots of interesting people here! The more I drive around and explore out here, the more I feel like this is where I belong. I have a deep burden to see renewal in this part of the world. Lots of people from our area are moving to Texas or Colorado or somewhere cheaper. I totally understand that. But I hope we can stay in California for the long haul. Hey Gavin: I thoroughly enjoyed and easily related to your thoughts and insights about living in California and am glad to read that you and Esther are considering staying here.